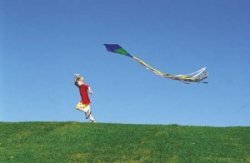 When was the last time you took the family outside on a blustery day and flew a kite? In the era of smartphone games and social media, the old-fashioned charms of kite flying have, for many, been lost. However, disconnecting from the digital world for an afternoon and going out to fly a kite can be a great opportunity for family bonding, and a lot of fun to boot! What's so fun about flying a kite?